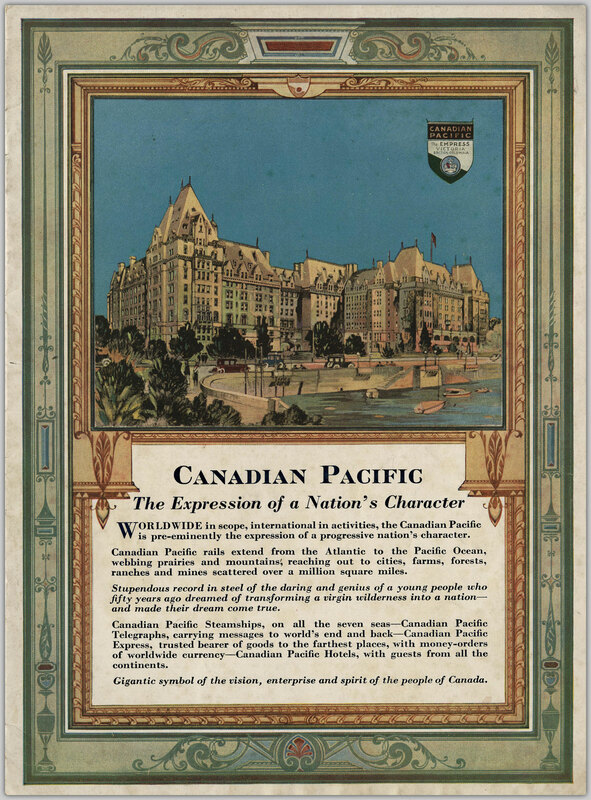 The iconic Empress Hotel in Victoria, British Columbia, is prominently featured in the Chung Collection. The Empress Hotel was designed by architect Francis Rattenbury in the “Chateau style” (also known as the Châteauesque style). This was an architectural style based on French Renaissance architecture common to many of the grand railway hotels. 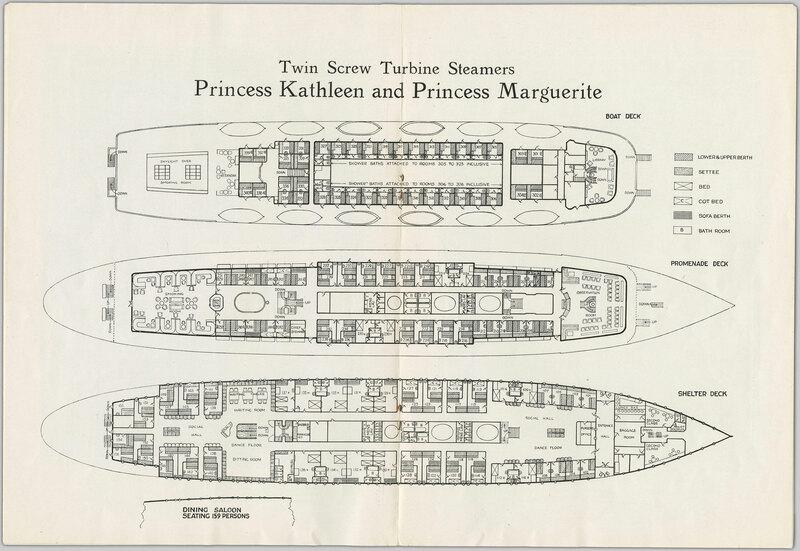 The architect, Francis M. Rattenbury, followed the practice of the Canadian Pacific Railway in employing the Chateau style, identifiable by the steep slate roof and the Gothic Revival gables. Rattenbury modified this style using a symmetrical plan and flanking pavilions which give a strong vertical emphasis to the design. These elements make the Empress Hotel an important transitional building in the development of the Chateau style, which emerged as a distinctively Canadian approach to railway hotel building. [Empress Hotel, Victoria, BC], [1905?]. The challenge of the mountains, 1907, p. 75-76. 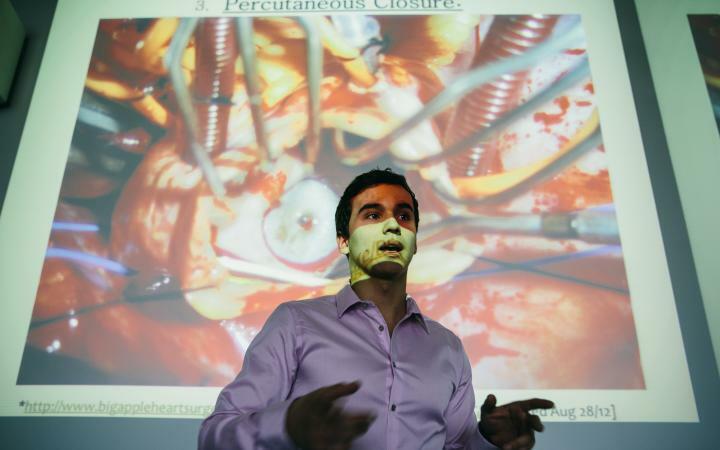 A few hours steam from Vancouver is Victoria, the capital of British Columbia. 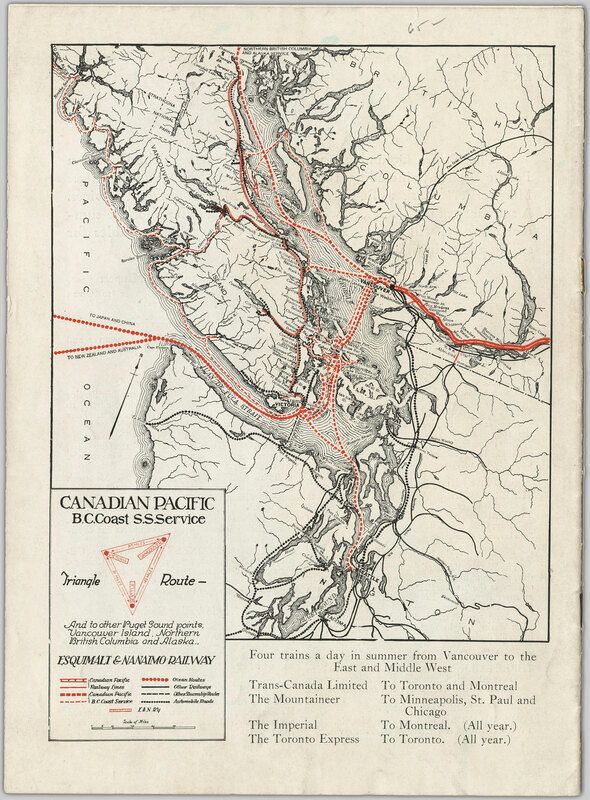 Across the Straits of Georgia daily plies the fast new Canadian Pacific Railway steamer ” Princess Victoria,” passing through a world of small islands, comparable to the Thousand Islands of the St. Lawrence, though with infinitely finer timber. Victoria itself is acity of lovely homes and the seat of the Provincial Government, its Parliament buildings being one of the handsomest piles on the continent. This city is of singular beauty and has a population of over 30,000. There is now nearing completion a palatial hotel by the Canadian Pacific Railway Company, which will be completed during the coming summer. Beacon Hill Park, 300 acres in extent, is no less beautiful than Stanley Park. The challenge of the mountains, 1908, p. 76. 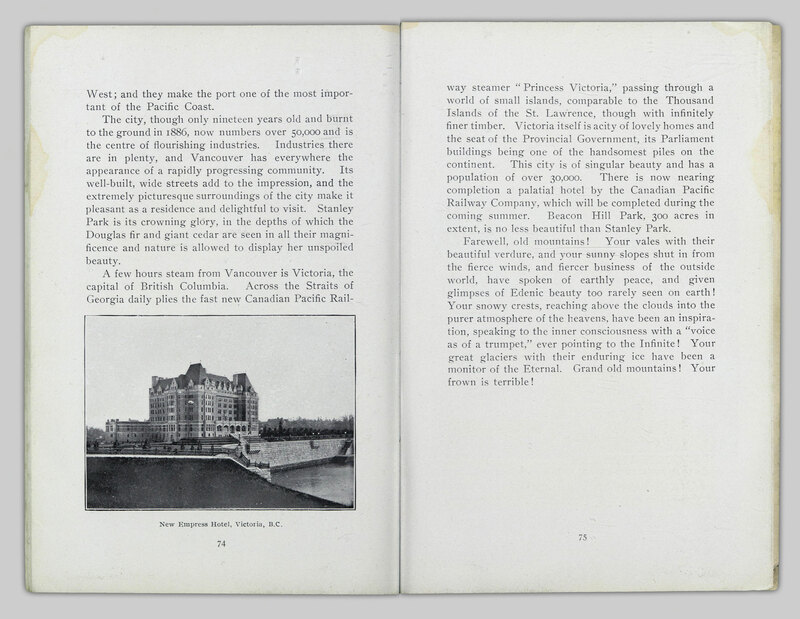 Shortly after opening, the hotel underwent two major expansions – first in 1910-1912 by W.S. Painter, and again in 1928 by J.W. Orrock. 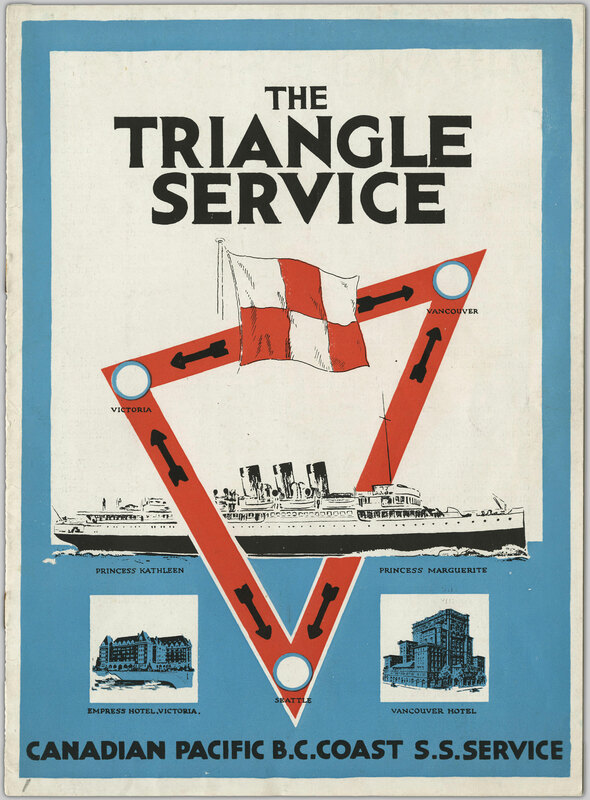 The Triangle Service operated until the early 1960s, when BC Ferries became the transportation mode of choice for Victoria-Vancouver travel. 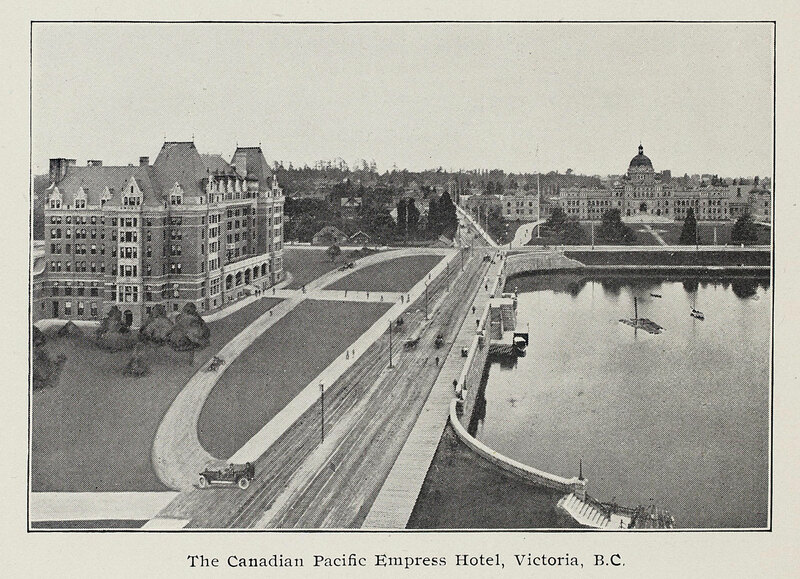 After arriving at the Empress Hotel, guests could take advantage of the hotel’s many amenities and Victoria’s ample activities, including “motoring, yachting, sea and stream fishing, shooting and all-year golf”. 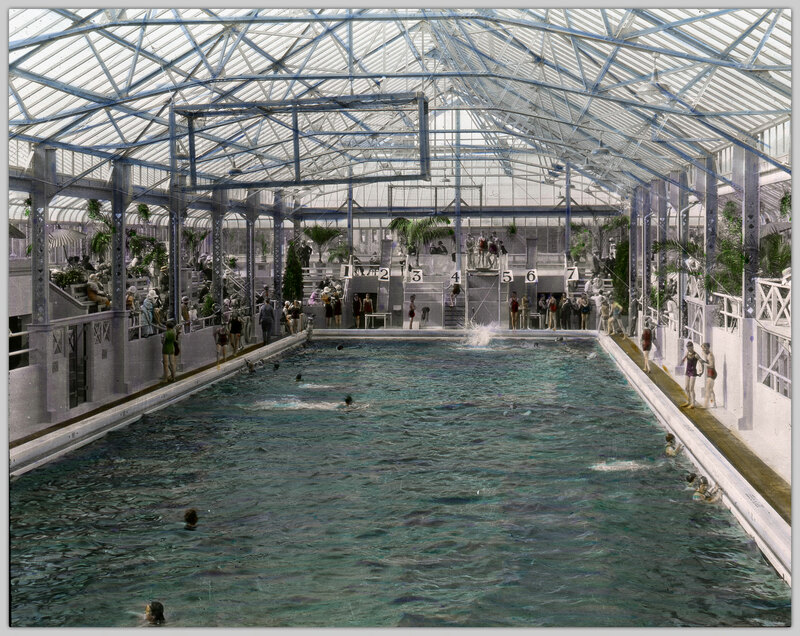 The nearby Crystal Garden – an indoor conservatory and swimming pool – was also a popular destination. 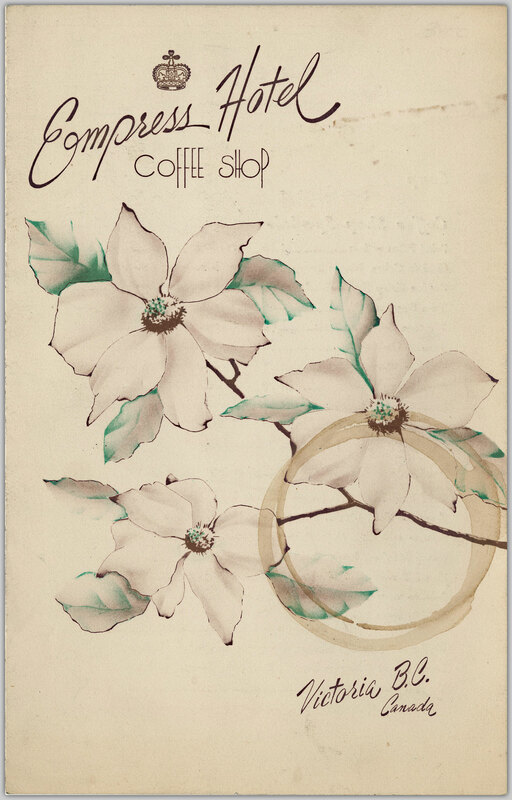 Pamphlet cover: Crystal Garden, Victoria, B.C., 1927. Lantern slide: [Crystal Garden at Victoria], [between 1910 and 1929?]. 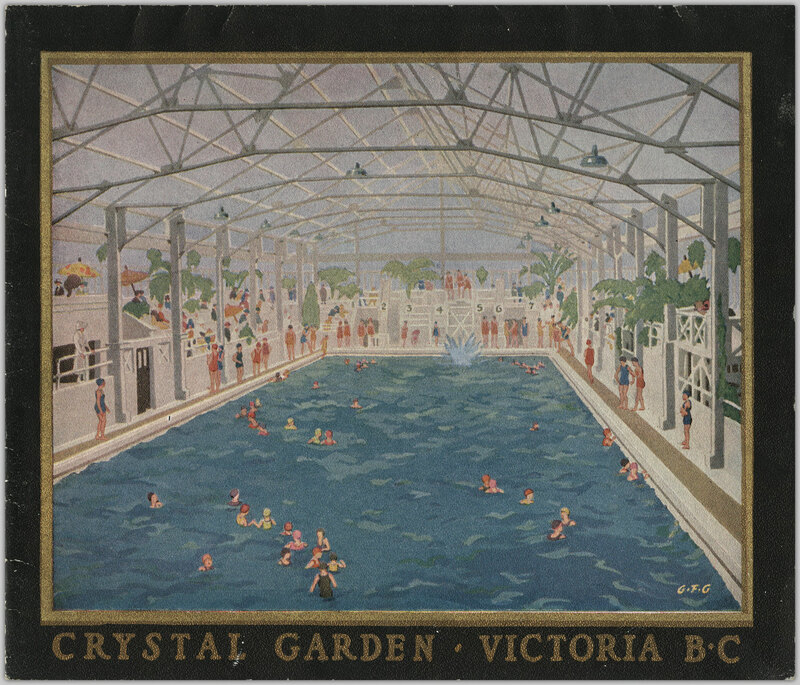 The Crystal Garden still exists today as an event space within the Victoria Conference Centre. 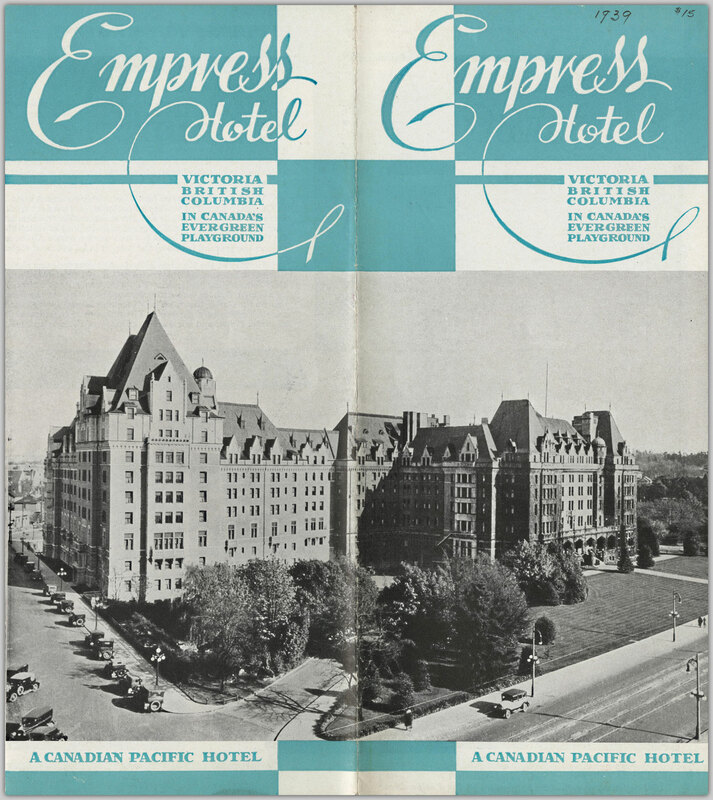 If you’re curious to know what visiting the Empress Hotel was like in the past, you can explore menus, pamphlets, and other ephemera produced by the hotel. Here are a few of our favorites. Empress Hotel, Victoria, Vancouver Island, B.C., 1929. Empress Hotel, Victoria, British Columbia, in Canada’s evergreen playground, 1939. 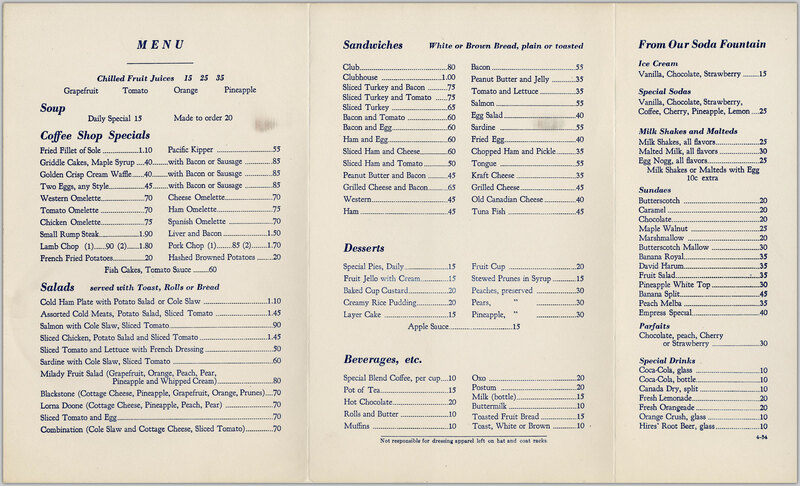 Trifold menu from the Empress Hotel Coffee Shop, [not before 1940]. 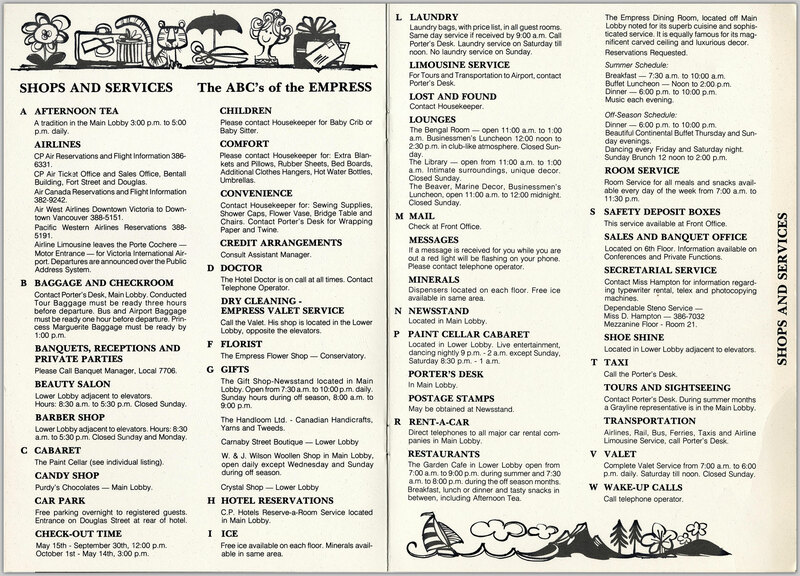 The Empress room service menu & directory, [not before 1960], p. 4. 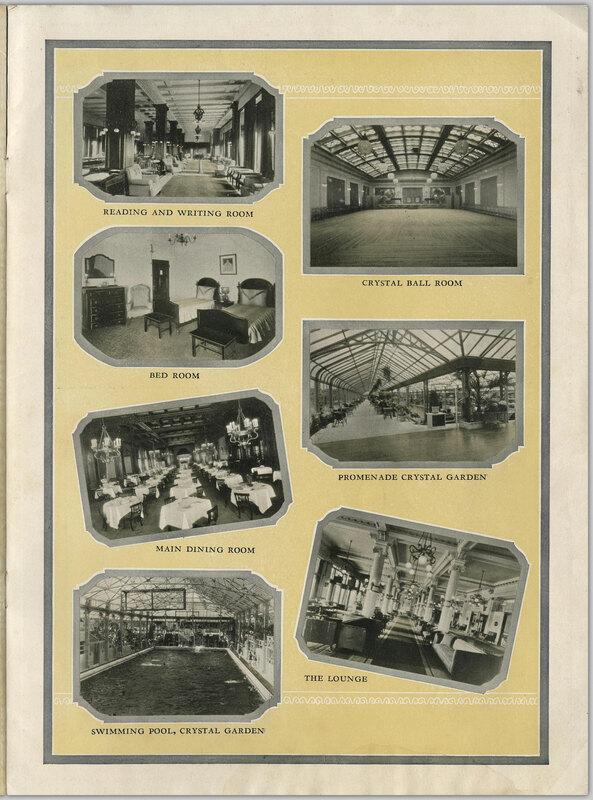 Canadian Pacific Hotels from sea to sea, , p. 24. 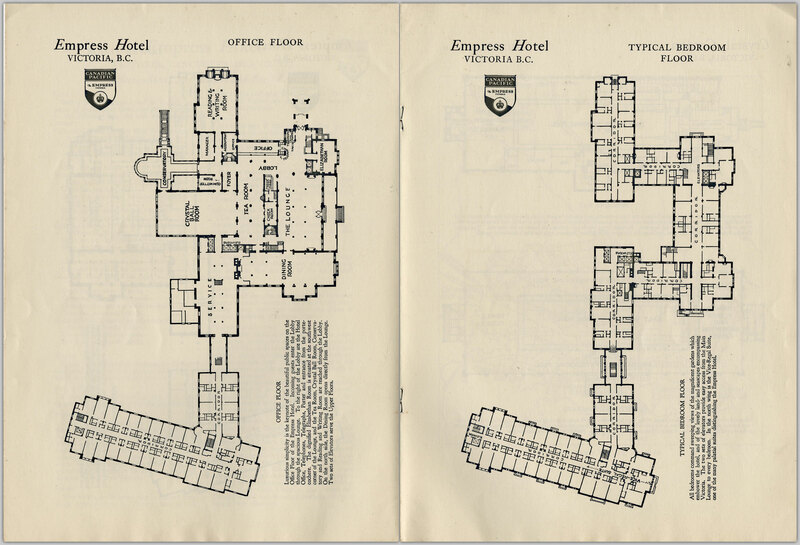 You can explore many more Empress Hotel materials by searching within the Chung Collection. Find something exciting? Let us know in the comments!